The following is a guest post submitted by Sara Jenks, Young Urban Preservationists. Submit your story today. Have you ever done something so crazy you started to question your own sanity? A few weeks ago a little voice inside my head said, “DUDE, you should totally organize a flash mob!” Most sane people would have chuckled to themselves and ignored the voice. Not me. I listened to it. 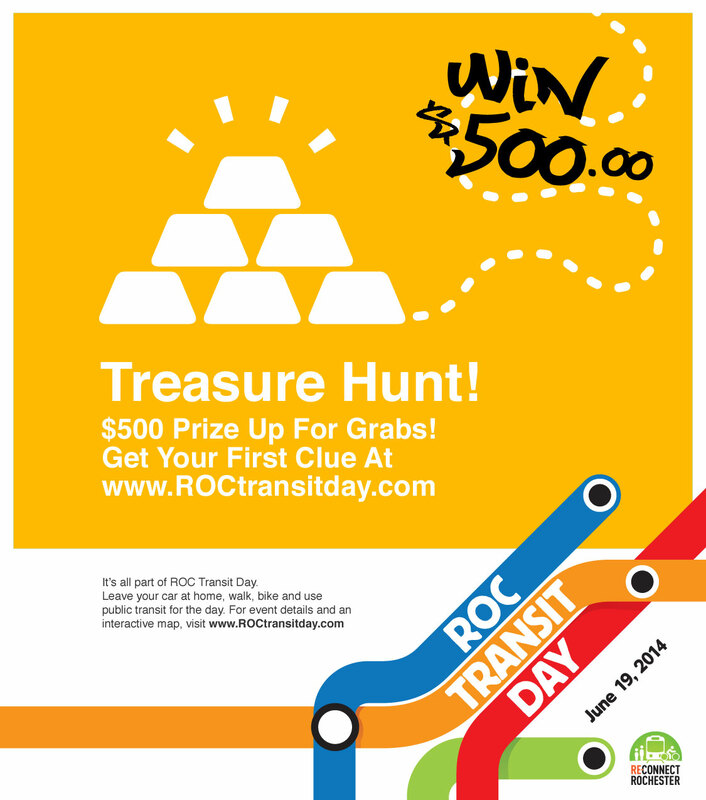 A $500 CASH prize is up for grabs in The Great ROC Transit Day Treasure Hunt! On June 19, FIVE HUNDRED DOLLARS (U.S.) will be hiding somewhere in Rochester. The first person (or team of people) to find it will take all. 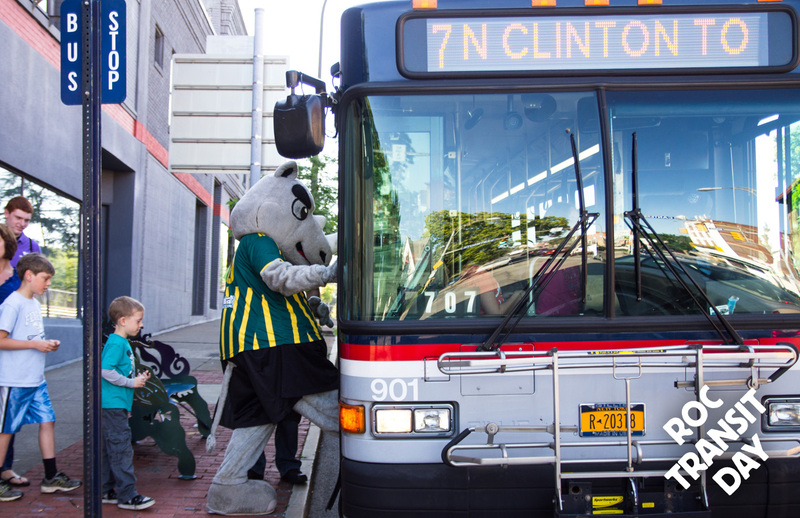 There’s just one catch… no cars allowed. To claim this jackpot you’ll need to use the bus system, walk or bike. 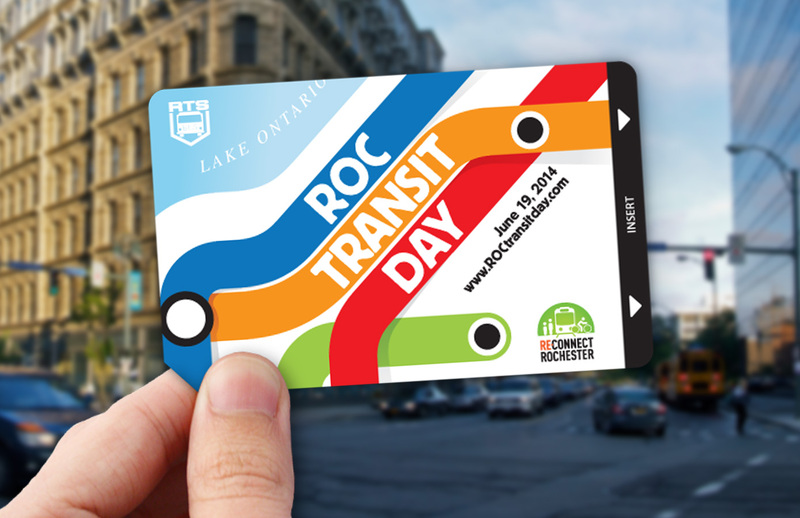 Get your first clue now at www.ROCtransitday.com . In 2013 I gave myself a photo assignment. Pick 13 subjects, and take 13 snapshots of each… 13x13x13. Turns out this was much more work than I thought. So I’ve been accepting submissions from others. Today’s series of 13 comes to us from Tiny Fish Printing , a custom apparel printing company located near the public market. T-shirts are an American staple. We all have our favorite one that we wear until our belly button shows through. They’re a great way to show our support for our favorite local institutions… restaurants, bands, clubs, etc. They allow us to show off our creative side, even we don’t have a creative bone in our body. And best of all, they keep us from being naked.